Comics are the home of men of steel, world-class detectives, and friendly neighborhood super-teens. They’re also home to some incredibly weird creations that could only exist on the four-color page. 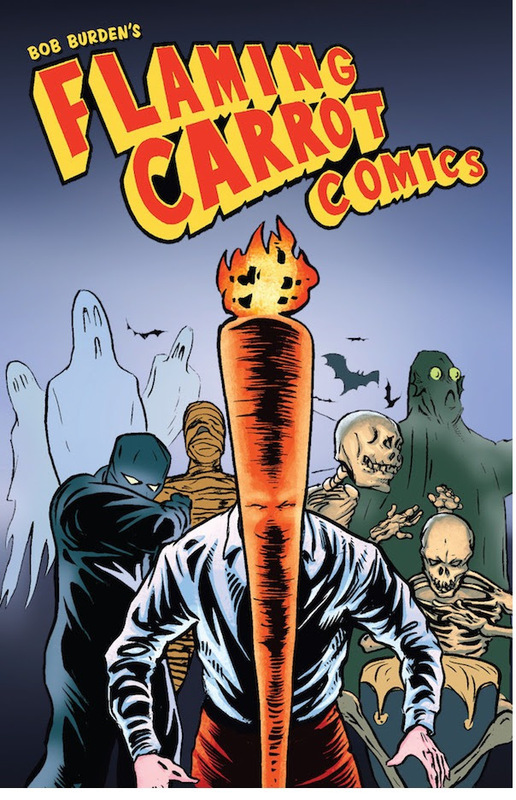 Case in point: the Flaming Carrot, Bob Burden’s wacky “surrealist superhero.” If you don’t believe me, well, wait until this September when the Flaming Carrot Comics Omnibus returns to print. It will be full of the titular hero’s zany adventures (the dude rides a nuclear-powered pogo stick), and will introduce a new generation of readers to absolute insanity. MILWAUKIE, Ore. (March 28, 2019)—Hey kids! Check out a comic book series that in recent years, many comic book readers believed to have never existed - being nothing more than a ridiculous legend or an amusing joke. Flaming Carrot Comics Omnibus will be available September 18.